View the workshop package, including all session descriptions. The Canadian Urban Libraries Council is a national library group dedicated to working collaboratively to build vibrant urban communities by strengthening the capacity of Canada’s urban libraries. Our 45 member systems operate almost 700 points of access, and in 2017 were used by citizens more than 385,000,000 times. They represent approximately 80% of the country’s public library activity. They employ more than 12,000 Canadians; and purchase more than $100,000,000 of materials each year. The 2019 Marigold Member Libraries’ Workshop (MLW) will be held on Wednesday, May 15, 2019 at the Best Western Premier Calgary Plaza Hotel & Conference Centre in Calgary, AB. The MLW Planning Committee invites session proposals which may benefit, support, or inspire library staff and board members. Workshop sessions are one hour in length. The deadline for proposals is Friday, January 18, 2019. Please note: only those selected to present at the workshop will be contacted. Marigold’s annual customer satisfaction survey for 2018 is now available. Your comments and hopes for Marigold are of great value to gauge the success of our services and to identify opportunities for improvement and development. This survey is designed for completion by Marigold board trustees, library board members and chairs, library staff members and individuals who work in our member libraries as volunteers. Those who fill more than one role at the library (for example, as board member and volunteer) may complete the survey twice. The deadline for responding is November 22, 2018. Note: Survey responses are confidential and do not point to a specific person or location. If you need more information about how to access and complete this survey, please contact Nicole Dunnewold by email or telephone. Celebrate Alberta Culture Days @ Your Library! Alberta Culture Days is a three-day, province-wide celebration of arts and culture in all of our communities. Help celebrate Alberta Culture Days 2018 at your library this year, September 28, 29, and 30! Marigold is excited to announce that 5 hours/day of streaming on Freegal Music will be available for all of our member library patrons beginning August 1. Streaming music from Freegal is ad-free. The 5 hours/day of streaming is in addition to the 5 songs/week download limit. Streaming, just like downloading, can be done on a PC or through the Freegal app. The 2018 Teen Summer Library Experience is on its way! Running from June 25th to August 17th, TSLE 2018 is encouraging teens across Marigold to read, create and problem solve this summer to win some incredible prizes! 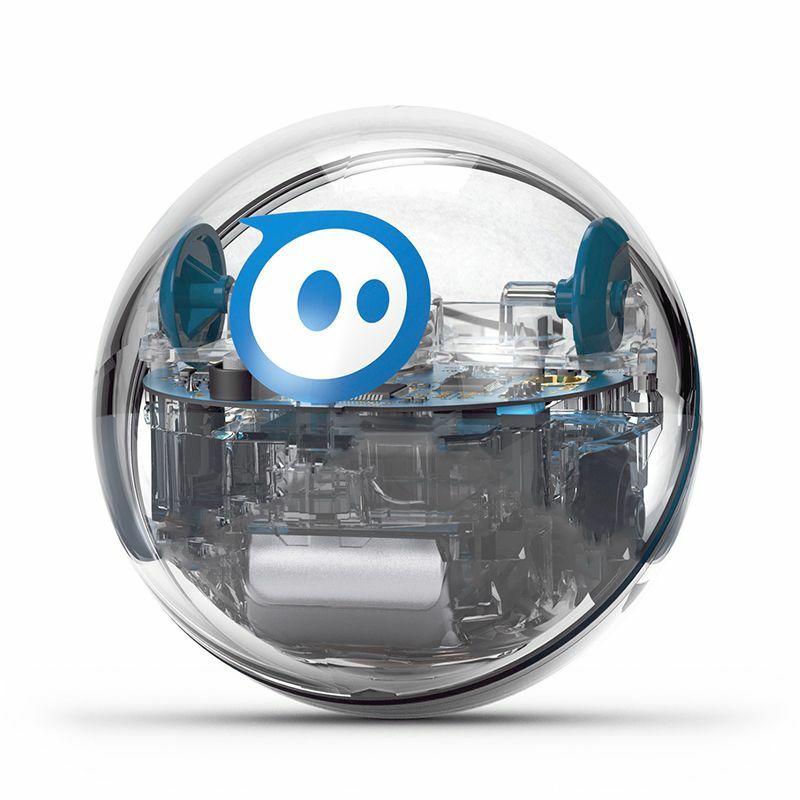 The grand prize for ages 8-12 is a Sphero SPRK, an app enabled ball that promotes interactive play. The grand prize for ages 13-17 is a Nintendo Switch, with two games included for instant entertainment that teens can take anywhere. Marigold is very excited to offer the Teen Summer Library Experience again this year and we are looking forward to seeing you all this summer! Effective, June 4, 2018, the TRACpac app will no longer be updated by the developer, Boopsie, and will be removed from the Google Play Store and the Apple App Store. The Boopsie App should be removed from devices as of June 4. For several months, the mobile friendly and responsive design of the TRACpac website has been the recommended option in lieu of the functionality concerns with the Boopsie App. An App Committee that is comprised of representatives from all four Regional Library Systems in TRAC is investigating options. Thank you to those of you who recently responded to the TRACpac App survey to determine if an App is required or if the mobile friendly TRACpac.ab.ca website for easy mobile access is sufficient. Below are instructions to create a shortcut to the TRACpac.ab.ca website on your device as well as how to add your library card barcode to your device. The shortcut instructions are also available on the TRACpac website under the Announcements side section.